Here we go again. 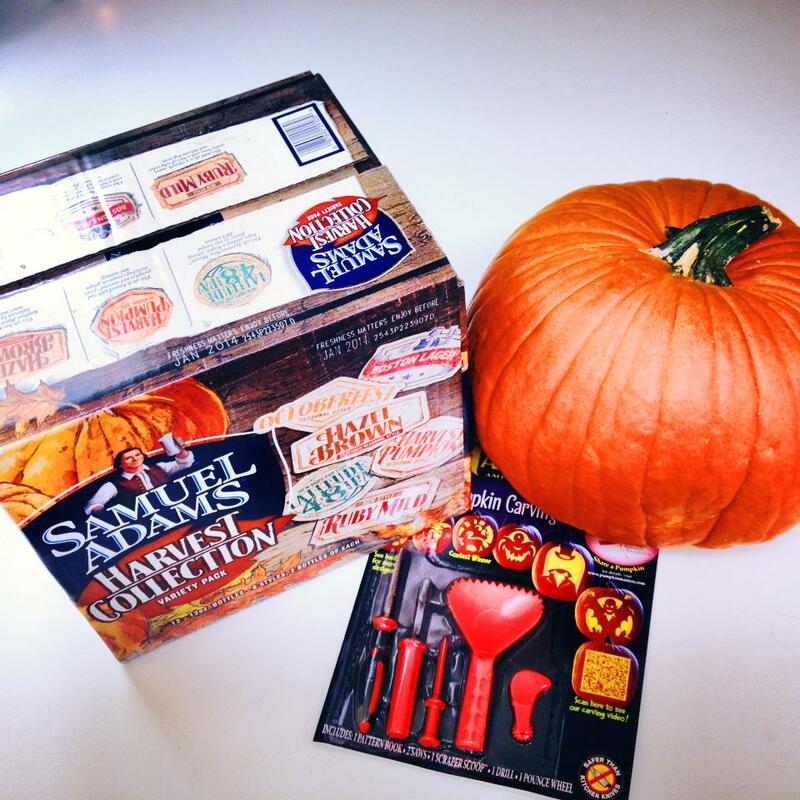 Booze, pumpkins and cutting implements. There was plenty in the local media Friday about how the Aurora Borealis – the northern lights – may be visible in parts of Maine due to solar flares earlier in the week (or something, I’m not a damn meteorologist). Given that I understand the basic concept of light pollution, I didn’t expect to be able to see it from the parking lot at work, but I thought I’d give it a go anyway. So I wandered outside around 9:00 p.m. to glance up to the heavens, and sure enough…nothing. What I did discover, though, was less awe-inspiring and more unnerving. It was cold. Sure, I was in shorts and a button-down shirt. But it was genuinely, noticeably cold. I’ve written a lot in these pages about getting used to the climate since I moved here. For the first three or four months, not a day went by that I didn’t curse some part of the conditions, or wonder what the streets of Augusta looked like without a grey, snow-caked crust on the edges. But then May came along, and we – in town anyway – seemed to avoid much of the mud season that I’d been warned about (not to mention the black flies, which I don’t even think I saw), and suddenly the sidewalks were dry and the foliage was green again. According to my coworkers, we didn’t have much of a spring. We kinda just jumped straight into early summer, and the season really took off in July and August. I realized very quickly what they’d been telling me all year: that the summer is worth the wait. When I wrote about hiking in Franklin County at the end of August, it struck me that the season had entirely rushed past me and that it was going to start cooling off any day now. But I was more focused on the financial relief I was predicting for my bank account once the weather got too miserable to go outside anymore. We had a few days of extremely warm weather at the beginning of September, and the joke everywhere I went was that “summer has finally arrived.” And it only got better when I got to Rhode Island last weekend to discover days in the high 80s and low 90s awaiting me. When I got back to Portland after the festival, wearing a T-shirt and shorts, I was immediately surprised by how much cooler it was. Apparently it’s extremely easy to get used to the weather being warm every day for two and a half months, and just as easy to forget how it used to be. But the same may just apply to the cooler weather. Since I moved house, all of my jackets and sweaters have been squirreled away in a back closet, because I just haven’t had cause to take them out. Last night, though, I walked to the bar and the temperature was in the 50s – low teens, for those reading along back home. Instead of taking a jacket, I wore a flannel shirt over a T-shirt, figuring that’d be enough. It was, but then I was sweating like the proverbial streetwalker in church for the first half-hour after I got to the bar. So after a few months of weather conducive to wearing T-shirts and shorts to work, I’m going to have to learn to start dressing somewhat warmly again. One problem with that is, I’m utterly sick of the sight of every fiber of warm clothing I own, because I absolutely wore them to death last winter. Time to go to Goodwill, I think. But the arrival of fall isn’t all bad. Autumn wipes light, summery beers off the tap lists and brings on the heartier flavors. Every brewery, big and small, releases a “harvest collection” or something pumpkin-spiced, the latter I’m not terribly fond of, but it does herald the approach of Halloween. I’ve been in the U.S. for a couple of Halloweens – 2010 and 2013 – but I only dressed up for the former. This year it’s on a Friday night, which I’m anticipating will be a shitshow, and I definitely want to do something fun costume-wise. The leaves are changing too, ever so slowly. The bright greens have given way to the first hints of orange, although it’s not full-on yet. Maine even has an official “fall foliage season,” as I just discovered when I was looking for this website that lets you see where the leaves are changing color. I’ve only spent a couple days in New England during the fall, and that was back in 2010 in Connecticut, so I’m yet to truly see the colors turning, and I’m pretty excited about it. Prepare for a ton of annoying Instagram photos of leaves and stuff, you guys. I’m still a little uneasy, though, that winter is seemingly just around the corner. My first nine months here have absolutely blown by, and there’s another brutally cold winter forecast. I kept saying last year that “if I could survive this one, I could survive anything,” but I might have to put my money where my mouth is. Either that or move to the Bahamas. I hear it’s nice there at that time of year. And every time of year.